I actually got this nail polish for free last year, with a box of Playtex tampons. How random, huh? Judging from the packaging, they gave out a range of six shades, but Impulsive was the only one left on the shelves, so that’s what I got. Application was pretty nice. Two coats was fine, but I did three for extra oomph. The only drawback was a slight tendency to bubble, but that might have been exacerbated by my painting my nails in front of the air conditioning. Overall, this is a very good nail polish buy at the drugstore. 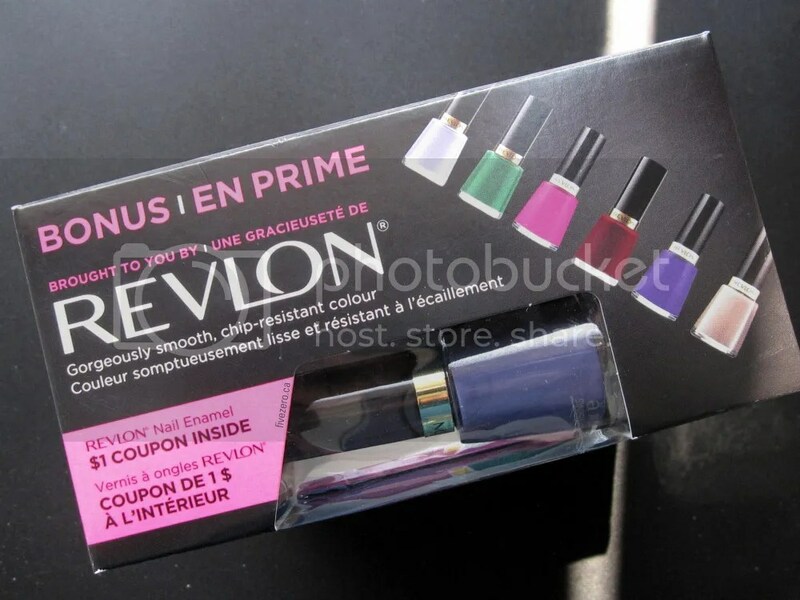 Revlon Nail Enamel retails for around US$4.99 / CA$5.99 and is 0.5 US fl oz / 14.7 mL. They are free of toluene, formaldehyde, and dibutyl phthalate (DBP), and are made in the USA. Those are all nice shades they included as freebies. Usually they give away some random sheer puke green that didn’t sell. 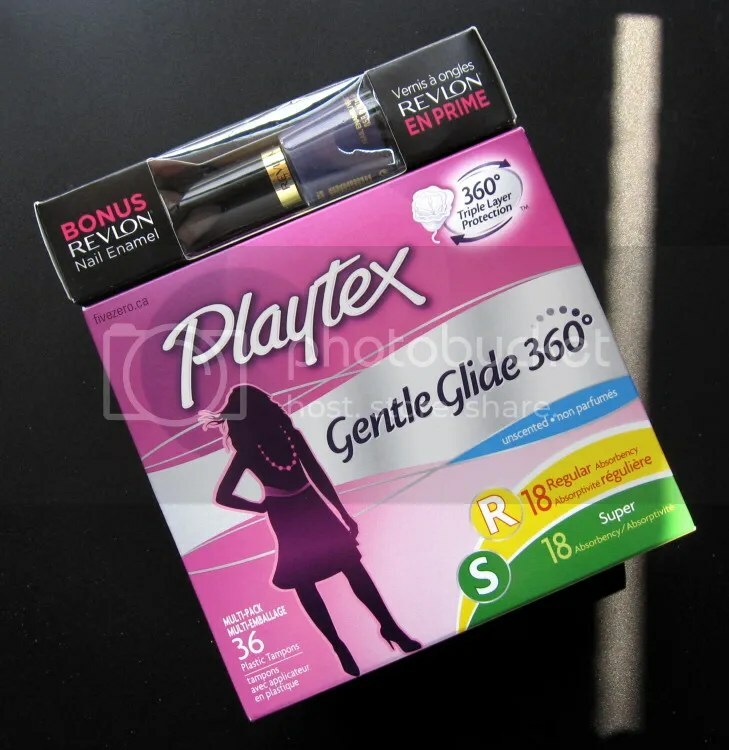 Playtex tampons are SO much better than Tampax! And for some reason not all Shoppers stock Playtex – so weird. I like Tampax! 😀 I only bought the Playtex because it came with the free polish. Blurple! Lol it’s going more towards the dark shades of purple.